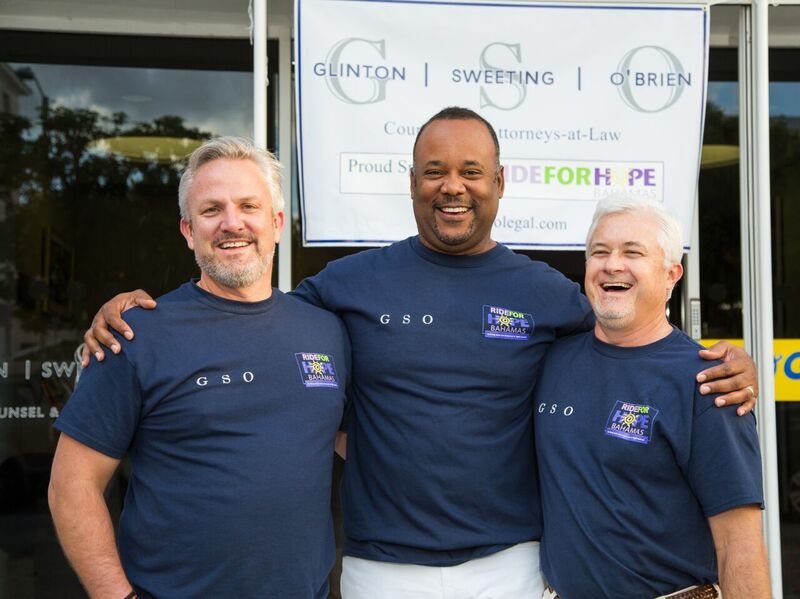 As part of the Ride for Hope’s fundraising efforts for the prevention and treatment of cancer in The Bahamas, Glinton Sweeting O’Brien (GSO) is proud to be a Yellow Jersey sponsor. As always, riders of all ages and capabilities will start out from Goodman’s Bay Park at 7:00 AM on Sunday, February 8th, 2015 and GSO, along with numerous other sponsors, will once again field an enthusiastic team of riders and volunteers in support of the event. GSO, a full service boutique law firm, supports a variety of local causes to improve our community with special focus on the fight against cancer, the arts, education and the environment. GSO’s attorneys and staff have actively participated in the Ride for Hope since 2006 and are eagerly anticipating this year’s event, which is taking place in Nassau for the first time. Last week, one of the RFH Volunteer Coordinators, held a thorough training session for the GSO group, outlining the changes in the transition of RFH to Nassau and prepared the volunteers for their responsibilities on the event day. On Sunday, February 8th, GSO will showcase a team of riders comprised of the partners, attorneys, friends and family, participating in the Ride to demonstrate their support to Bahamians in their fight against cancer. GSO also will have a tent at the Clifton Heritage site on the event day, where their team of volunteers will actively encourage participants of the Ride. “We’re excited to be taking part in this year’s Ride for Hope once again. It’s for an incredible cause and something we look forward to enjoying every year with our families and colleagues,” said GSO partner, Bryan Glinton. The Ride for Hope is a charity organization raising funds to be deployed in a direct, cost-effective way to benefit Bahamians in their fight against cancer. Every dollar raised by participants, without exception, is applied to the improvement of programs for cancer treatment and patient care in The Bahamas.